*Please click on links above to register for each keynote lecture. RSVP is required: Please register here. For information on the conference: Please click here. 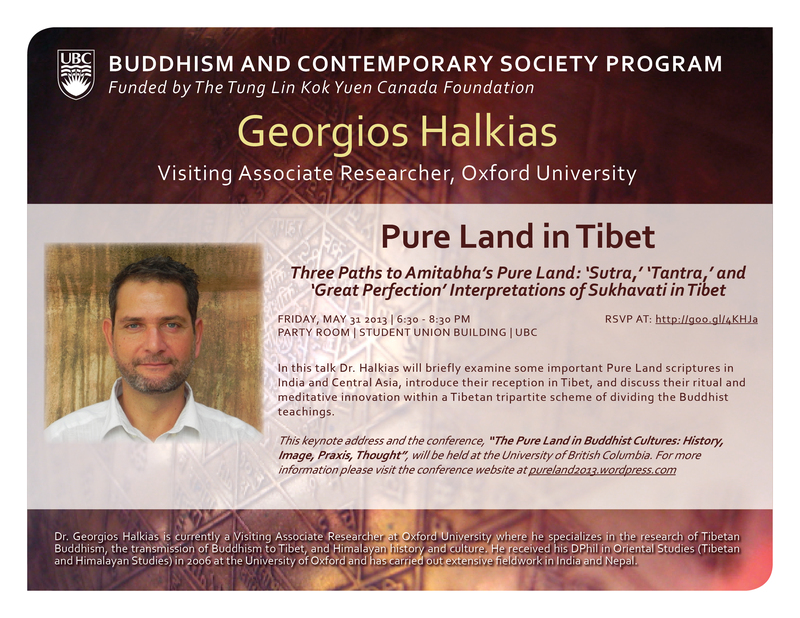 Dr. Halkias is currently a Visiting Associate Researcher at Oxford University where he specializes in the research of Tibetan Budhism, the transmission of Buddhism to Tibet, and Himalayan history and culture. He received his DPhil in Oriental Studies (Tibetan and Himalayan Studies) in 2006 at the University of Oxford and has carried out extensive fieldwork in India and Nepal. A list of recent publications from Dr. Halkias is available on his faculty profile. 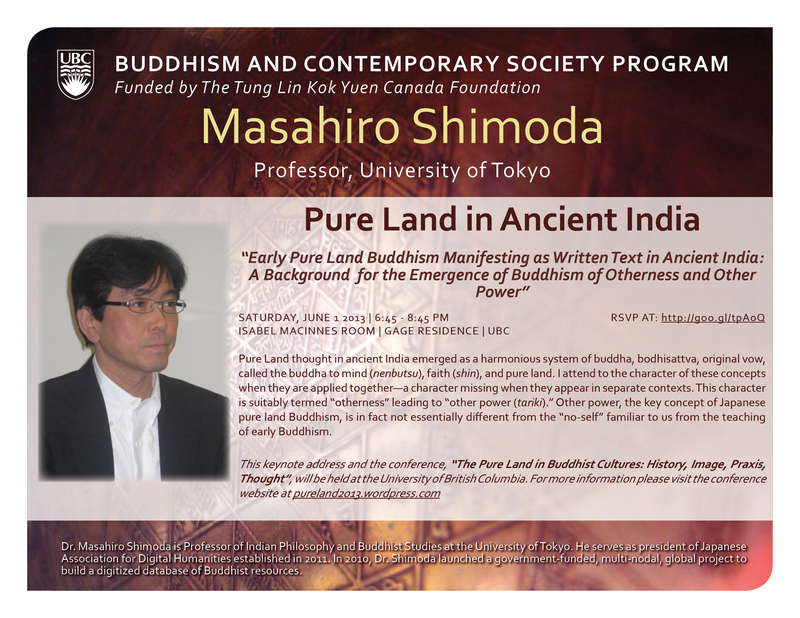 Dr. Shimoda is currently a Professor in Indian philosophy and Buddhist studies at the University of Tokyo. He is also the president of Japanese Association for Digital Humanities established in 2011. 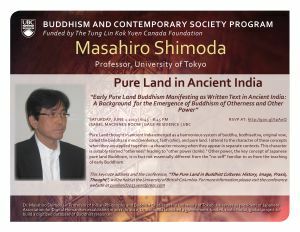 In 2010 Dr. Shimoda launched a government-funded, multi-nodal, and global project to build a digitized database of Buddhist resources. Links to recent publications from Dr. Shimoda are available here. This is the 3rd Annual Conference of the Buddhism and Contemporary Society Program (University of British Columbia, funded by The Tung Lin Kok Yuen Canada Foundation), and the 16th Biennial Conference of the International Association of Shin Buddhist Studies (hosted by the IASBS North American District). The post Pure Land conference keynote details appeared first on .